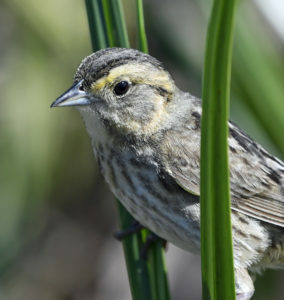 Conserving landbirds in Northeastern North America through coordinated, collaborative partnerships delivering bird habitat and population management. The Northeast Working Group of Partners in Flight is international in scope and covers the thirteen states from Virginia north to Maine as well as the eastern provinces from Newfoundland and Labrador to Ontario. It is a collaborative partnership of state and federal government agencies, non-governmental organizations, and academic institutions. Northeast PIF serves as a forum for bringing together bird conservationists from this wide array of organizations to facilitate coordinated, regional-scale implementation of research, monitoring, and management activities. The Northeast Working Group helped in the development of regional bird conservation plans and has helped foster numerous species- and issue-based working groups over time (see Key Resources). One of the venues Northeast PIF has used to facilitate such collaboration is a series of Bird Conservation Conferences (2010, 2012) and joint conferences with the PIF Southeast Working Group (2003, 2014). The next such conference will likely be coming up in late 2017 or early 2018.